Printing custom invitation and announcements is a great way to keep family and friends up-to-date on significant events or milestones. 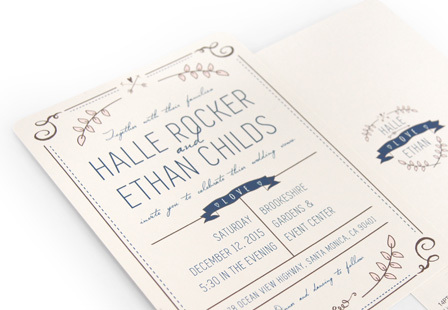 Our Natural invitations and announcements offer a light cream color with a smooth, elegant finish. Whether it’s for a birthday, baby shower or wedding, natural card stock is a great option. Select from a variety of printing options (slits, rounded corners) and sizes to make your invitation one-of-a-kind.